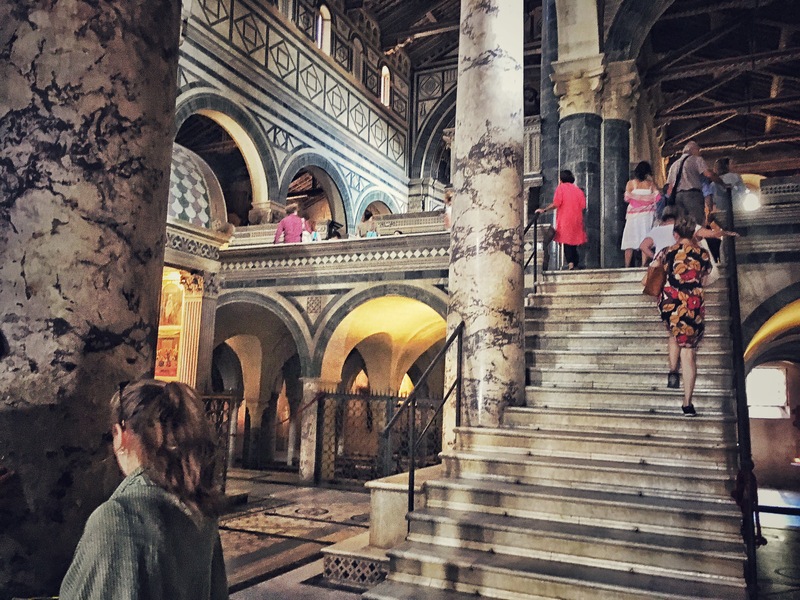 San Miniato al Monte. | In Florence. A Firenze. 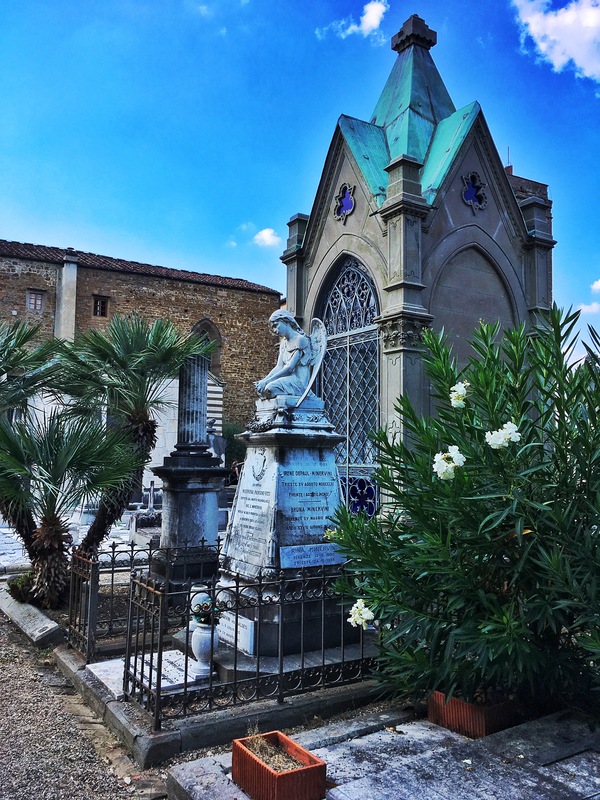 The graveyard of the Basilica San Miniato al Monte. 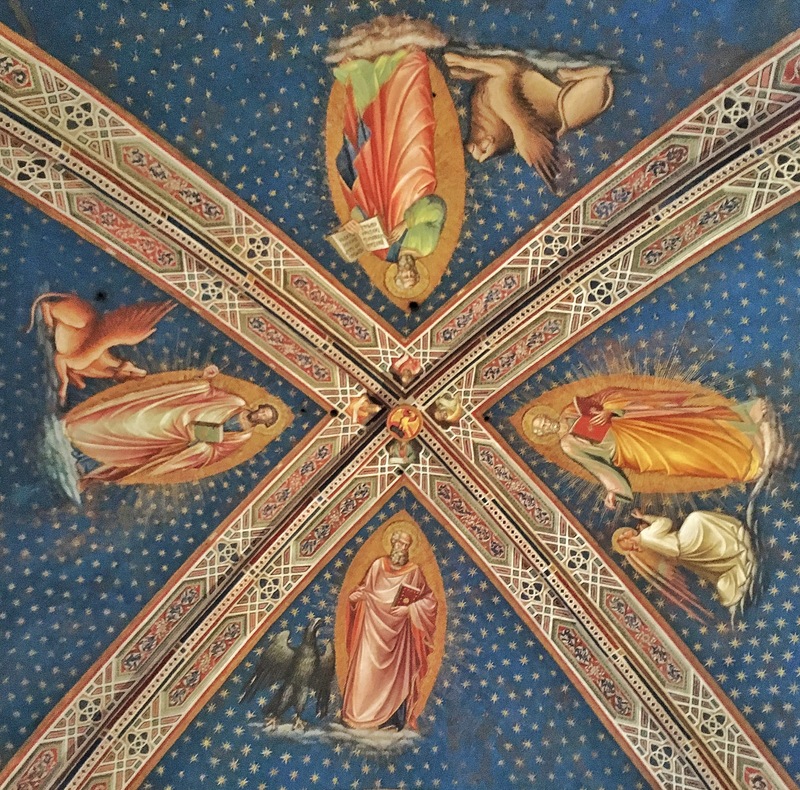 If you’re a history of art student at the British Institute Florence, this is one of the many site visits that form part of the course (you lucky things). We met the lecturer outside the church, which meant we had to find our own way up, exploring parts of the city we wouldn’t otherwise have seen. 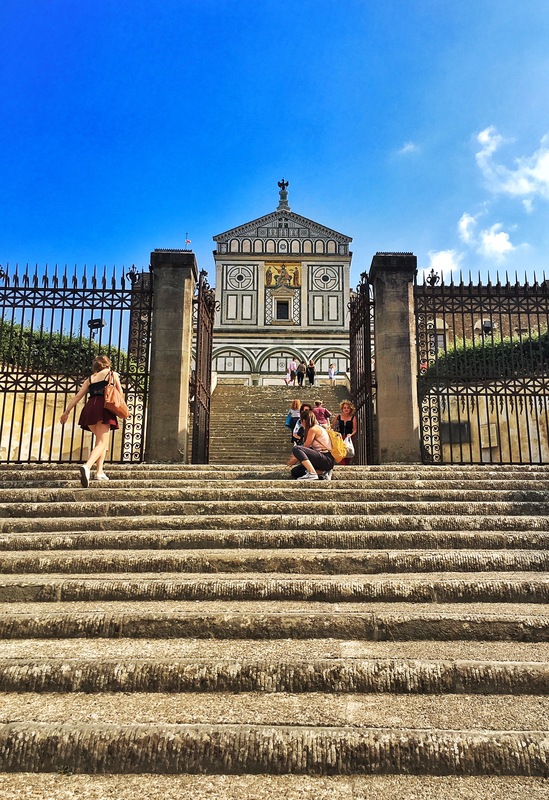 It overlooks the historic centre of Florence, nestled in the valley below, so the view is spectacular (if you ask me, it’s one of the best in Italy). 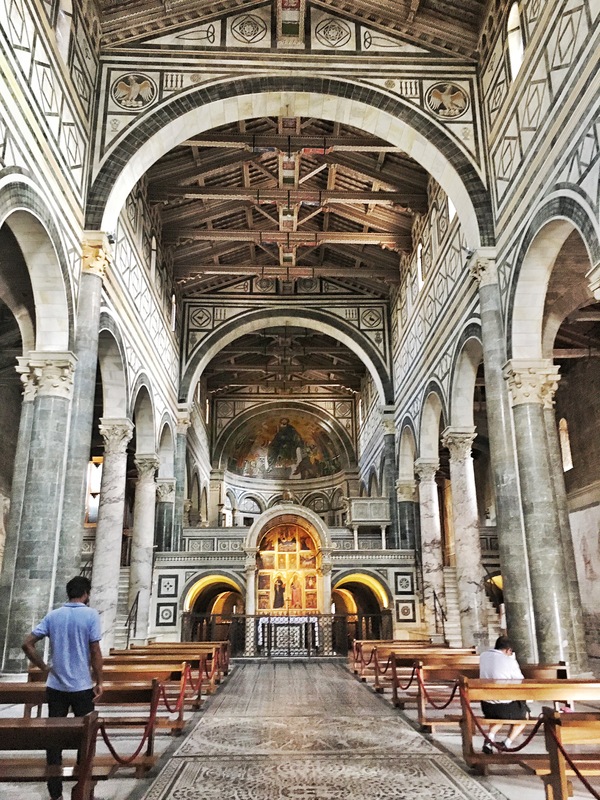 Both the exterior and interior are decorated exquisitely, with bold frescos and beautiful mosaics; there are clear Byzantine influences in much of the artwork. There is so much history behind each piece, you really have to analyse all the details and place them in their original context. I could quite easily have missed half of this, but our lecturer guided us through the different phases of the church one by one, explaining how all the layers of history piece together. Make sure to leave yourself plenty of time to explore all the wonders this special place has to offer!